This post corresponds with the third session of XP. 1. 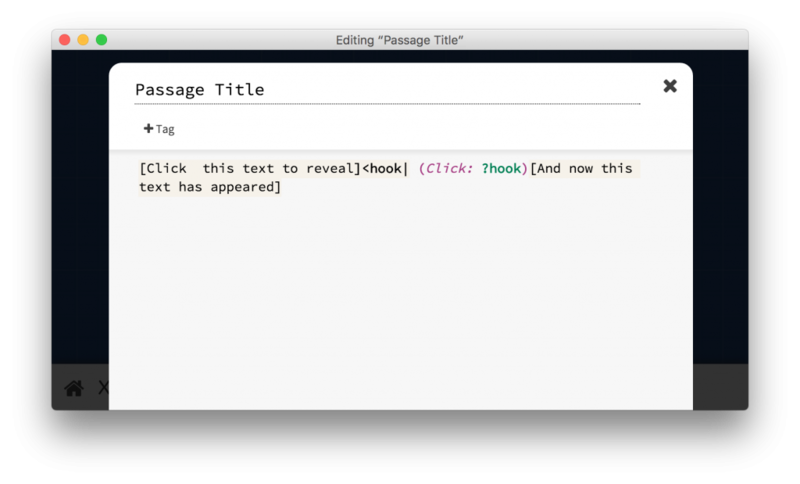 Install Twine 2.0 on your Windows, Mac, or Linux computer. Link passages using [[this syntax]]. Here’s a variation on the [[syntax|Passage Title]]. 4. Start building your game using your outline and storyboard from last week and the two Twine Syntaxes presented above. Experiment with Twine as you are building, and realize your game will morph as you learn more. Plan on adding as much content as possible using the two outlined Twine Syntaxes. 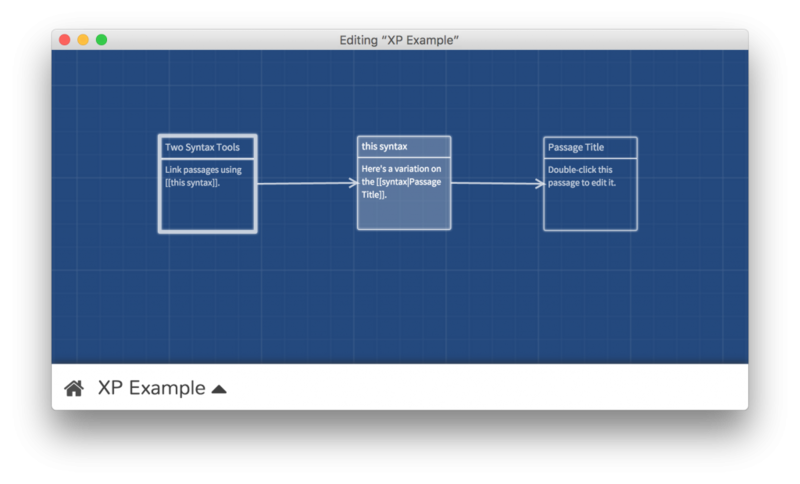 Next week, we will continue developing our games using more syntax tools, media, etc. 5. Find someone to play your in-progress game and give you feedback. I’d recommend an individual in your vicinity since your game is stored locally on your computer for now. 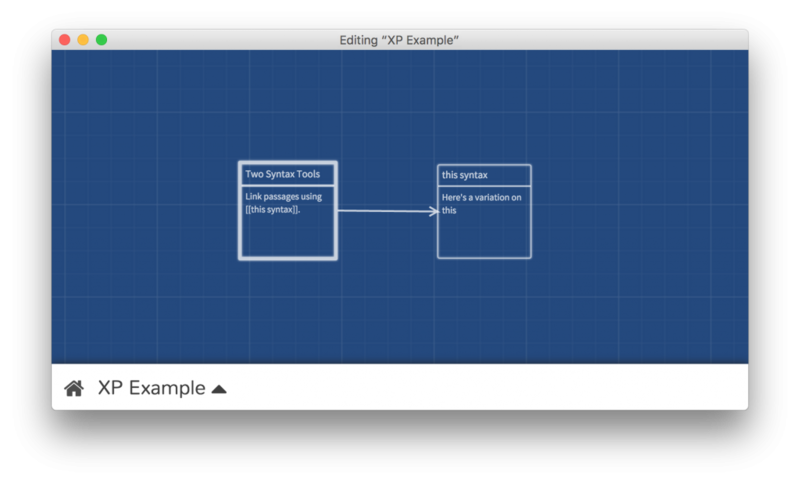 Document how your game looks and functions as you are building it in Twine. Write about what students are creating in your courses. (Ex: projects, papers, data analysis, etc.) How are these opportunities intended to engage students creatively? Reflect and write about where game design might fit into your courses? What would you want students to learn from a game design project? Please start building your text-based game using the outlined Twine Syntaxes. Share screenshots of your progress with me via Twitter or email or reach out with any questions. The featured image is provided CC0 by Sven Scheuermeier via Unsplash.